Where have all the birds gone? The sloths? What about the trees on the beach? Not to mention the beach? Semilla de Ballenas is a new project this year for Geoporter to reforest our town. We want to protect our beaches from erosion as it is already happening. We want to bring wildlife back to our town by providing suitable habitats and food for animals who used to call our town home but who have been forced out due to deforestation and development. We want to provide shade for people in town as they walk the streets or watch a soccer game. What started as an idea among a few individuals has been embraced by the people, businesses and organizations of Bahia-Uvita. Manual from La Cusinga is our local reforestation expert who helped identify seeds from local and native trees to collect from April to June. At the time of collection, the seeds were planted by Artifice in a yard to see which ones would germinate. The seeds that germinated were transplanted into tetra-pak (juice and milk containers), coffee bags, and ice bags filled with soil to provide the nutrients and support as the seedling transformed into trees. From more than one thousand seeds collected from five species, 500 seeds from three species germinated into seedlings and then into trees ready to be planted. The three species are Manglillo (Aspidosperma cruentum), Sota Caballo (Pithecelobium longifolium) and Cedro Maria (Calophyllum brasiliense). 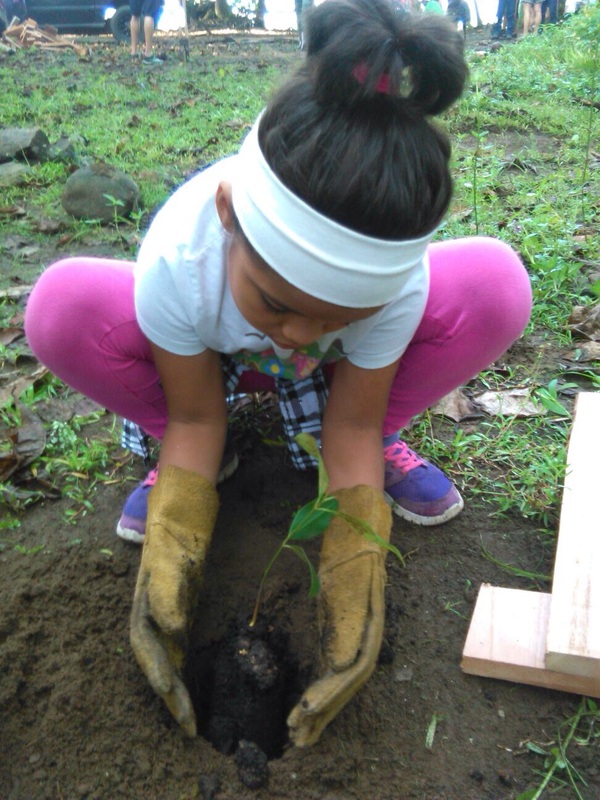 From June to September of this year and under the guidance of Bodhi Surf and Costa Rica Cultural Tours, volunteers from student and adult travel groups from Global Leadership Adventures and Discovery Corp built a nursery to protect the seedlings as they grew into trees. 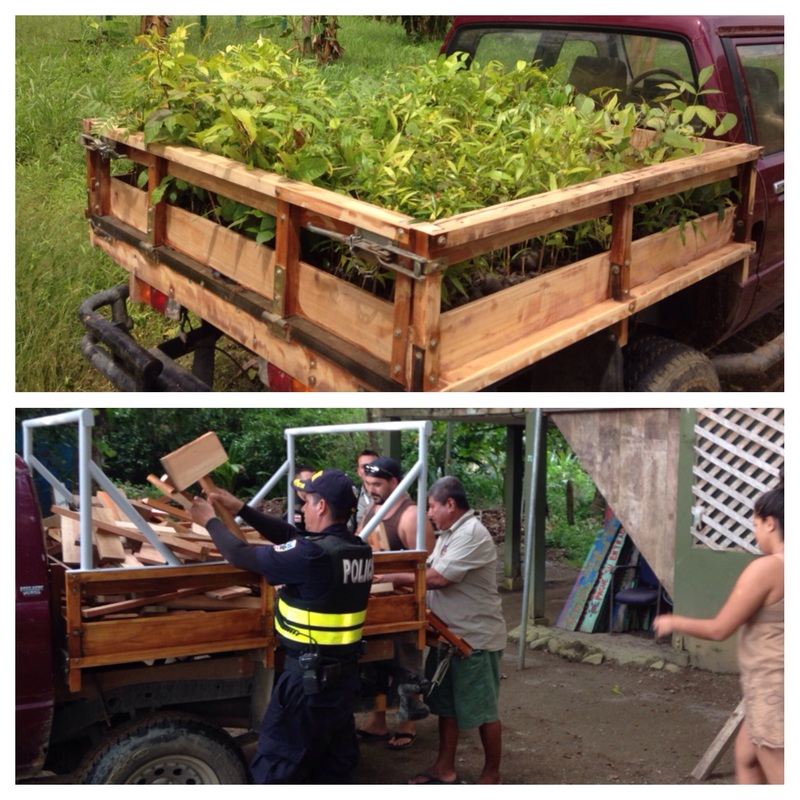 The nursery was built on land donated soley for the purpose of the reforestation project. The plan for the nursery is to provide long-term protection for future seeds to germinate. These groups also helped to identify and map potential locations for areas suitable for planting trees based on a number of criteria. The month of October here in Bahia-Uvita is a month that can be slow for many residents due to the downturn in tourism in what is the rainiest month of the year. However, fewer tourists also means more time for locals to spend vacationing or doing other work in the community. Thus as a collective group, we decided to use the month of October to plant the 1,000 trees that we had acquired (500 from seedlings we collected and 500 small trees donated by the electric company). Over the course of three Saturdays (October 31st being our last event), we managed to reforest 850 trees and using GPS and GIS, map the locations of these trees. An estimated 100 people have participated in helping to reforest various areas of the community. 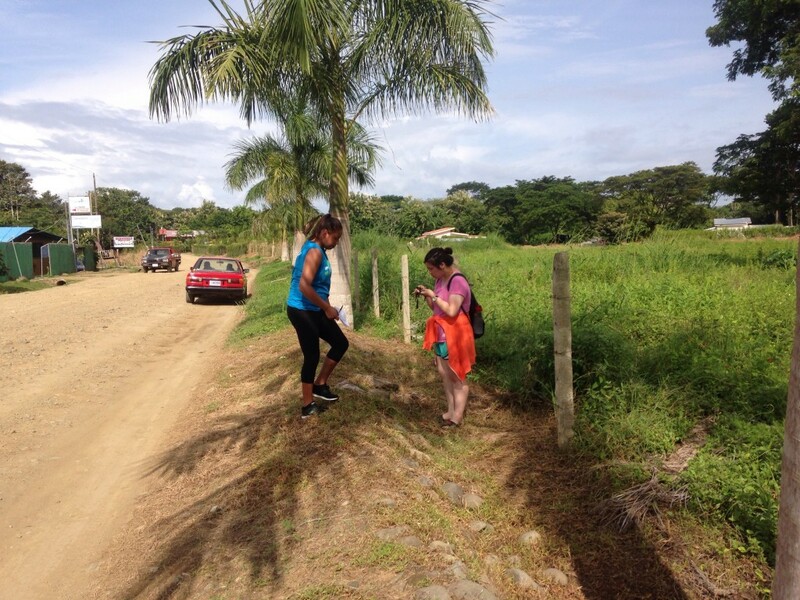 Working with the Park Rangers at Marino Ballena National Park, we planted almost 600 trees along the beaches. Trees were also planted along the stream bed of a recently dredged creek bed. Through the coordination of Licorera don Isreal, both local BM supermarkets donated food for the snacks. Other local tour companies, tourist information centers, and private businesses have donated beverages, fruits, other resources and time. 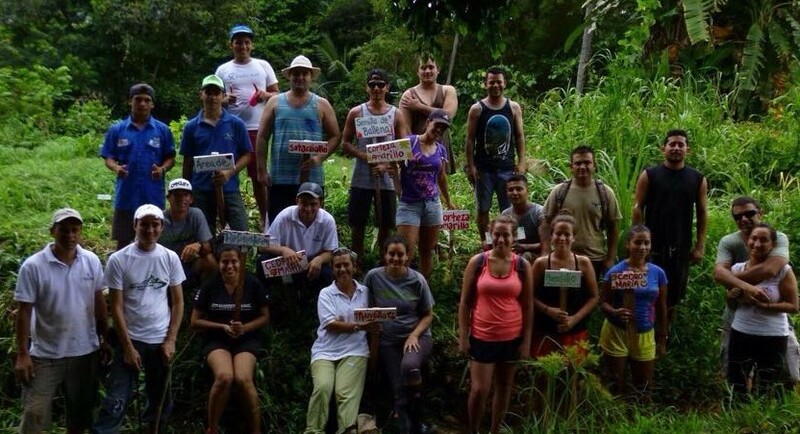 One local hotel, Kura Design Villas sent eight of its employees down from the mountain to help plant trees. Another local hostel, Flutterby House, also sent its volunteers to help out. Other hotels and businesses such as Bahia Ballena Tours, Bahia Aventuras, Ballena Info Center, Cuna del Angel, and Cristal Ballena also donated person hours and snacks. Three local wood shops donated scrap wood for signs and stakes to help protect trees from cars. 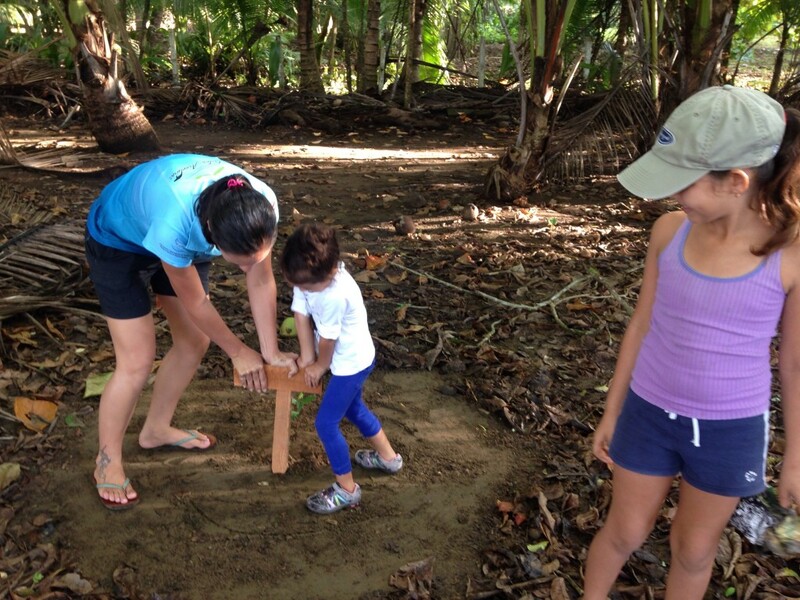 What started with a small idea and a desire to reforest the beaches, streams, and mountains of Uvita has turned into a community-wide project. As we care for these trees over the next five years, and continue to plant more, only time will tell if our efforts will revitalize lost habitat, protect our precious beaches from coastal erosion, and provide shade for people walking the dirt streets in town. 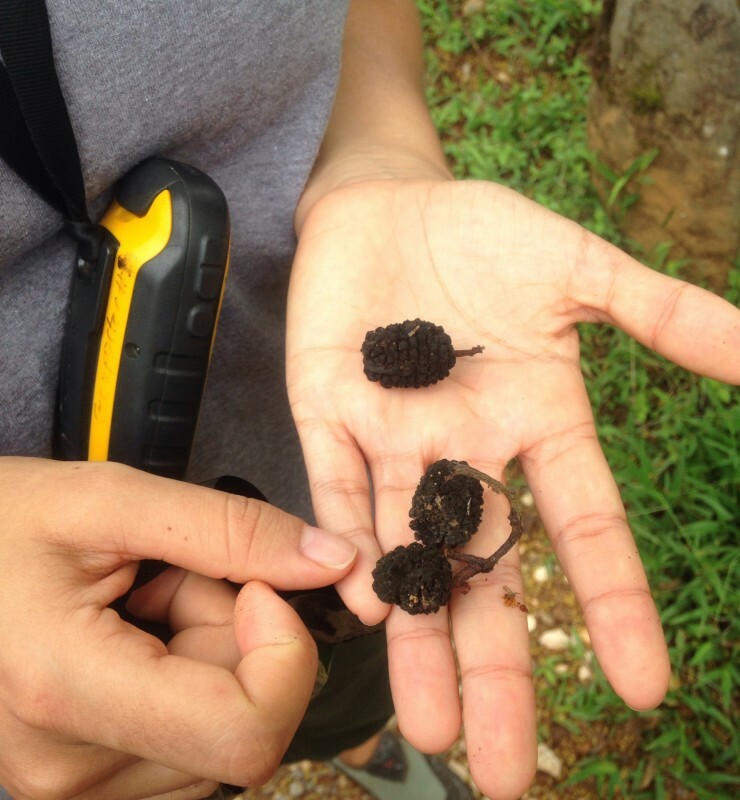 As more residents and volunteers participate in the project, we hope that Semilla de Ballena will continue to grow for future generations through the trees planted and maintained over the years, as well as new trees that drop seeds to expand our reforestation efforts. This entry was posted in Projects, Reforestation by geoporter. Bookmark the permalink.